Caving bag in varnished PVC 1100 dTex 670 and 900g/m² canvas. Bottom with stitch protective piping in Hypalon®. 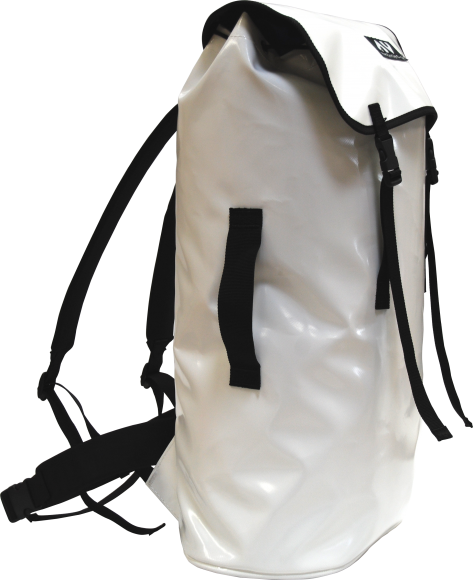 Model with one bottom handle, one side handle and one handle for hoisting sheathed between the shoulder straps. PVC and foam back reinforcement. One removable belt. Both the shoulder straps and belt are padded for increased comfort (tubular and foam).